The rules of business have changed. Whether you're starting up, ramping up, or branching out, you need to sharpen your competitive edge. As competition among businesses continues to intensify, there is a logical need for local SMEs to cope with the changing times. With the upcoming ASEAN integration in 2015, there is an imminent challenge for local businesses not just to be competitive in terms of products and services but also be competitive in terms of effectiveness of business processes. In the recently held Philippine Cloud Summit, Randy Bias, who is among the global leaders in cloud computing, emphasized the urgency of global enterprises to cope with major changes in the business landscape. For him, the most significant change that is needed involves the adoption of cloud technology in conducting business processes. “Through Cloud technology, SMEs can have leverage as great as that of the bigger companies,” Bias asserted. “A lot of SMEs are now interested to get into the Cloud. I don’t see any reason why they can’t do that,” he added. To equip local SMEs with the necessary knowledge about Cloud, Microsoft Philippines is gathering a number of thought leaders, technology experts, and entrepreneurs to share their valuable insights on how the use of the Cloud Technology can help improve businesses, particularly of SMEs. This would be on October 8 at the SMX Convention Center in SM Aura, Taguig City. 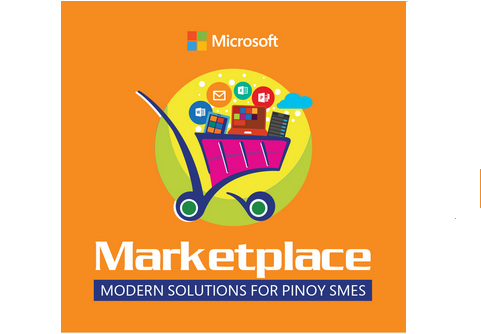 Through the upcoming event, ‘Marketplace: Modern Solutions for Pinoy SMEs,’ the company aims to provide entrepreneurs with the right knowledge and insights on how to be competitive and future-ready in today’s mobile first and cloud first world. It is an event where SMEs can meet, trade, and gain insights from partners, associations, and fellow SMEs. The event is co-presented by PLDT, Cherry Mobile, Asus, Visual Studio, Unison, Mannasoft, Mustard Seed Systems, and Barhead. Click here to join. Onsite registration starts at 8 a.m.